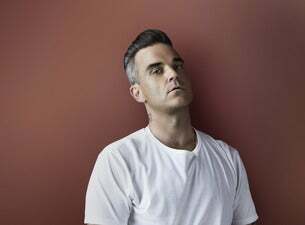 Robbie Williams has been announced as a headline act for Barclaycard Presents British Summer Time Hyde Park 2019. The pop star will take to the iconic London park on Sunday 14 July 2019. Williams first became a superstar as one-fifth of the monumentally successful boy band Take That. During their initial tenure between 1990-96, Take That released three studio albums and had eight UK chart-topping singles. After much speculation, the group reunited in 2005 without Williams. In July 2010, Williams announced he was returning to the group, and joined them for their Progress album and tour. After the band took a hiatus between 2011-13, Williams announced he was once again leaving the group. Some of the band’s most famous hits include Pray, Relight My Fire, Back for Good, The Flood and Never Forget. Post Take That’s initial breakup, Williams launched a hugely successful solo career and became one of the biggest recording artists the UK has ever produced. He has released 11 solo studio albums in his career thus far, with 10 of them peaking at No.1 on the Official UK Albums Chart. Most recently Robbie has been lighting up TV screens as a judge on the ITV talent show The X Factor, alongside his wife Ayda. Williams is the second headliner to be announced for Barclaycard Presents BST Hyde Park 2019. The festival is now in its seventh year and will find him joining an elite list of artists who have headlined the Hyde Park stage.